• Preheat oven to 350℉. Spray a medium sized casserole dish with non-stick cooking spray. • In a small bowl mix mustard, vinegar, maple syrup, ½ teaspoon salt, ¼ teaspoon pepper and all the paprika together, set aside. • Clean chicken thighs, checking for bone pieces and cutting off excess fat. 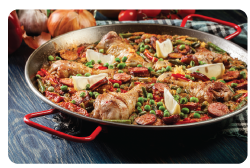 Lay chicken pieces in a single layer, not flat, into casserole dish. Season with leftover salt and pepper. Pour maple mustard mix over the chicken and bake uncovered for 35 minutes. Sauce should be bubbling, and chicken registering an internal temperature of 165℉. 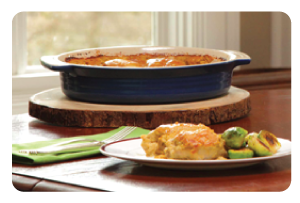 • Remove from oven and serve hot with your favorite sides and enjoy with a glass of dry Riesling. © Photo and recipe courtesy of Chateau Ste Michelle. In 1992 d’Arenberg’s neighbors built a dam in which no water lay, as it was a dry winter. The next year it rained but the dam was jinxed and didn’t hold water. Some people mix the name around, calling the wine ‘The Dam Dry Riesling,’ which in some years is truer than others. For this vintage, small batches of grapes were crushed gently, chilled and then transferred to custom designed steel basket presses. Gentle juice extraction is critical early on to retain the delicate fruit flavors. The fermentation was long and cool, and was stopped before reaching total dryness to ensure that residual sugar remains to balance the high mineral acidity. It was an excellent year for Riesling in McLaren Vale. Enjoy the heady yet delicate personality of this wine in youth or confidently cellar it. 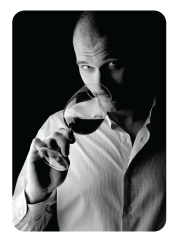 Enjoy a glass of Chester’s amazing wines, join our January Wine Club! In 1959, Francis d’Arenberg (d’Arry) Osborn began bottling d’Arenberg wines under the now famous Red Stripe label. Today, d’Arenberg is the keeper of nearly one-third of all of McLaren Vale’s mature Grenache bush vines and d’Arry has celebrated 67 consecutive vintages earning consistent critical acclaim for their coveted Grenache-based wines. 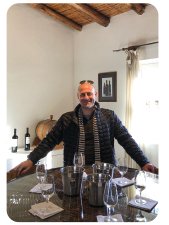 Fourth generation winemaker, Chester Osborn, guides the small-batch Grenache parcels from the vintage through the gentle ‘Demoisy’ crusher, into open fermenters and then into the 19th century basket-presses. Natural minimal processing ensures maximum flavor which results in a harmless deposit in the bottle. • Place the tomatoes in a blender and puree until smooth. • Slice the eggplant into 2 inch pieces. • Over medium heat cook the chorizo until cooked through, about 5 minutes. Remove from pan and set aside. • Add onion and garlic to pan and cook until translucent, about 5 minutes. Add the chorizo back to the pan with the wine. Cook for 1 minute. Pour in the tomato and bring to a boil. Add the eggplant and bring back to a boil. Sprinkle with salt and pepper. Cover the pan, reduce heat to a simmer and cook for 10 minutes. After 10 minutes add the thyme and oregano. Put cover back on and cook for 10 more minutes, or until eggplant is tender. • Chop the basil and sprinkle over the top. 4 servings. Serve as main dish or side dish. © Photo and recipe courtesy of Chateau Ste Michelle. 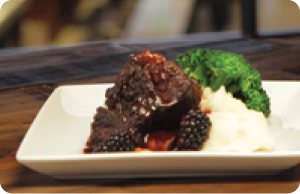 • Using a pot with a lid that will fit all 6 short ribs comfortably, heat it over medium high heat. • Preheat an oven to 375 ℉. • When pot has properly heated, add a tsp of oil, and then sear off short ribs until they are brown and caramelized lightly, about 3 minutes. Remove ribs. • Add carrots and onions to pot and cook until just starting to caramelize, about 10 minutes. Put in tomato paste and cook 1 minute longer. Pour in wine and stock and bring mixture to a boil. Put in ribs and 1 pint of blackberries, cover and place in the preheated oven. Cook until ribs are tender. This will take between 2 and 3 hours, depending on thickness of ribs. Check liquid level periodically to ensure it doesn’t all evaporate. If more liquid is needed add more stock and wine, or just water. • When ribs are done cooking, remove from pan and keep warm. Strain out liquid from pot. Add other pint of blackberries and simmer sauce for 10 more minutes. Season to your taste with salt and pepper. • When serving make sure to include some blackberries with each piece of rib. One of the undisputed kings of Australian Shiraz and Rhone varietals, d’Arenberg has managed to turn individuality into an art form by doing a whole lot of little things differently. 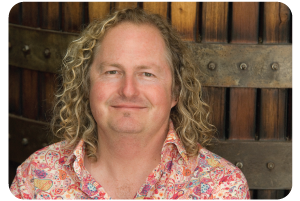 In 1912, the original vineyards were established and a century later d’Arenberg has more than 345 acres managed by 4th generation winemaker, Chester Osborn. d’Arenberg has been ranked as one of the Top 100 Wineries in the world by Wine & Spirits Magazine six times! A wild grass, the Love Grass, often grows in the vineyards surrounding the d’Arenberg winery. During vintage, the sticky, Velcro-like, long stemmed flowers of the Love Grass affectionately attach themselves to the vineyard workers’ socks. This Shiraz will also linger with you and, as such, the family thought it fitting to name this wine ‘The Love Grass’. • Preheat oven to 350℉. • In a large skillet, brown ground beef, veal and pork. Add minced garlic and oregano and stir. • Place canned tomatoes in food processor and pulse until tomatoes are thoroughly chopped; reserve 2 cups, place remainder in skillet with the meat and stir. Remove from heat and set aside. • In a medium bowl, beat eggs. Stir in cottage, ricotta and parmesan cheeses. Set aside. •Enjoy with a glass of Jacuzzi Family Vineyards Barbera. Recipe compliments of Jacuzzi Family Vineyards. The Barbera varietal comes from the hills of northern Italy’s Piedmonte region, where it has been grown since the 13th century. During the 1800s and 1900s, Italian immigrants introduced the varietal to the Americas, most notably in Argentina and California. The grapes are known for their deep color and softer tannins. The fruit for this Barbera comes from Rancho Victoria nestled in the foothills of the Sierra Nevada mountain range, in the northern part of Amador County. The soils here are sandy clay loam derived from decomposed granite. This provides abundant nutrients and water retention for healthy, strong vines. The grapes were handpicked and destemmed without crushing the berries. This gentle approach minimizes the pick-up of bitter components from the skins and seeds. The wine was racked to oak, and aged for 12 months on 35% new French medium toasted oak. The grapes for the Bianco di Sei Sorelle come from the Diamond Pile Ranch in the Petaluma Gap. This ranch grows low yielding grapevines planted in deep clay soils with a westward facing slope. This limits vigor while providing excellent conditions for sunshine and ripening. The cool fog and wind barrages the vineyard, slowing the ripening and retaining lively acidity while allowing flavors to develop slowly to a crescendo at harvest. The grapes were handpicked in the early morning to retain their vibrancy and natural flavor. At the winery, the grapes were destemmed and gently pressed into a tank ready for fermentation. Fermentation began naturally and completed at a very cool temperature to retain acidity and fruitiness. The lees were stirred regularly to further enhance the richness. “The Bianco di Sei Sorelle has delightful aromas of citrus, green apple, pineapple, almond and grapefruit. It has great weight and texture with balanced acidity that keeps the palate fresh and gives it excellent length. 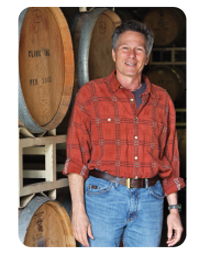 It would be an ideal wine with light pasta dishes, chicken or seafood.” – Charlie Tsegeletos, winemaker. • Bake croutons – Preheat oven to 400℉. Toss bread cubes with oil and salt in a large shallow baking pan and spread in one layer. Bake, turning over once, until golden and crisp, about 8 minutes. Cool in pan on rack. • Make Vinaigrette – Whisk together all ingredients except oil in small bowl. Add oil in a slow stream, whisking until emulsified. 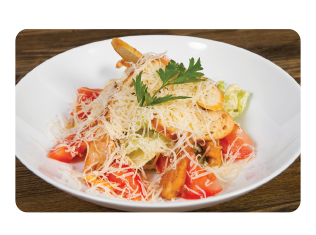 • Toss chicken and bocconcini together with ¼ cup vinaigrette in a bowl and let stand for 10 minutes. • Make salad – Toss together romaine, fennel, red peppers, olives, chicken mixture, croutons and remaining dressing in a large bowl until combined. 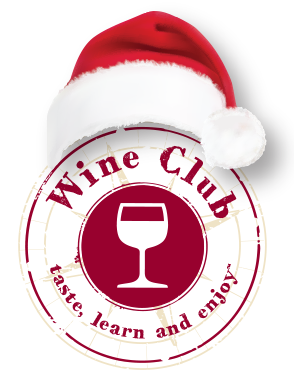 The team at WineStyles in Cedar Rapids, Iowa reviews our wine club this month, along with Beer Club and our holiday offer – Bottle Bucks Bonus cards! 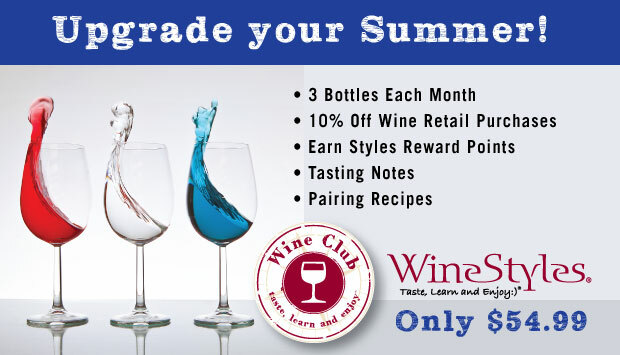 If you’ve been on the fence to join our Wine Club, now is the time! 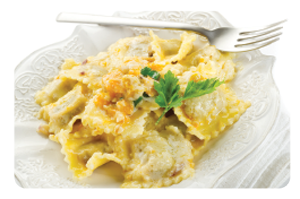 Get a $20 Bonus Card and enjoy this delicious Pumpkin Ravioli pairing recipe and Chardonnay from Martellotto Winery in Santa Barbara, California! Happy Thanksgiving! Cheers! The fanciful name “Melodeon” is the name given to foot-pumped organs used in the 19th century. Just imagine an old west saloon with gunslingers and whisky, with a melodeon organ music in the background. Melodeon was also commonly referred to as an accordion played while draped over a musician’s thigh. As such, the music of the time played in saloons of the Barbary Coast was referred to as melodeon. This black label “Melodeon” Chardonnay is as smooth, genuine, and lyrical as its name. This melodious Chardonnay’s low alcohol is the result of picking the fruit earlier, leading to a lovely natural acidity. After 10 months in oak with limited sulfur additions, the wine was minimally filtered and bottled. This wine loves Italian food, what can we say? Homemade pizza with mozzarella and salsiccia, or a plate of pasta piled high with meat sauce. 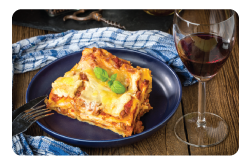 Dark cherry, blackberry and plum aromas abound tempered with chocolate, spices and Tuscan herbs, Nesios Toscana, has the elegance of Sangiovese with the force of Cabernet and demands to be enjoyed with food like this classic lasagna. For the sauce: Heat oil in a large, heavy bottomed pot over a medium heat. Add sausage and cook, stirring occasionally, for about five minutes until brown but not crisp. Add onion and garlic. Season with salt and pepper. Cook, stirring occasionally, for eight to ten minutes until the onion is softened and translucent. Add tomato paste and stir for two minutes until it’s turned deep, brick red, tinting the oil and onions. Using your hands, crush the whole tomatoes into bite-size pieces and add them and the crushed tomatoes, stirring to scrape any bits from the bottom of the pot. Fill one of the tomato cans halfway with water and add it to the pot. Season with salt and pepper then let it simmer for 20 to 30 minutes, stirring occasionally, until the sauce thickens and the flavors come together. Make the lasagna: Heat the oven to 375°F and set a large pot of salted water to boil. Set aside one 1 cup of mozzarella. In a medium bowl, combine remaining mozzarella, ricotta, 1 cup of Parmesan and cream. Season with salt and pepper and set aside. 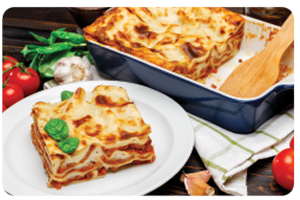 Cook lasagna noodles in the large pot of salted boiling water before they’re al dente, about 4 minutes. Drain and separate any noodles that are sticking together, add a little olive oil to prevent further sticking. Spoon a bit of sauce on the bottom of a 3-quart baking dish and top with a layer of noodles, avoiding heavy overlap. Top with 1 ¼ cups of sauce then dollop ¼ of the cheese mixture on top. Top with another layer of noodles and repeat three times, ending with the last of the noodles and last of the sauce. Top with your reserved 1 cup of mozzarella and more Parmesan. Cover loosely with aluminum foil and place baking dish on a foil-lined baking sheet. Bake until pasta is completely tender and cooked through and sauce is bubbling around the edges, typically 30-40 minutes. Remove foil and increase temperature to 450°F. Continue to bake for another final 15 to 20 minutes until golden brown on top. Tuscany is home to Italy’s most famous IGT (Indicazione Geografica Tipica) category. Sangiovese is the all-star of Tuscany, that derives its name from Latin as ‘the blood of Jupiter (Jove)’, the most widely planted grape in Italy. The hot, dry climate in Tuscany provides an excellent home for this thin-skinned grape, producing a rich and long-standing wine. It’s known for being fruity and naturally acidic and best enjoyed with the excellent cuisine of Italy. During the 1970s, the term ‘Super Tuscan’ emerged, as result of frustrations of winemakers towards the slow-changing wine laws in Italy which prohibited the blending of non-indigenous grapes. 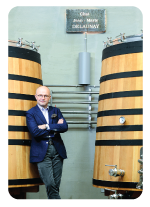 In 1992, IGT was finally created, allowing winemakers to be more creative. An IGT Toscana guarantees that at least 85% of the fruit was sourced from the region. Half Sangiovese and Cabernet, this Super Tuscan pairs well with Italian food, fresh cheese, grilled cheese and pizza. A Provençal version of minestrone, this is a hearty vegetable soup with summer vegetables, herbs and pasta. Delicious served hot or at room temperature. 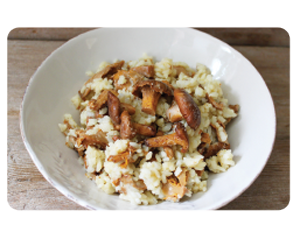 • 1 cup dried white beans (navy or cannellini), soaked in cold water overnight and drained. • Put the drained white beans, pancetta, halved onion, whole garlic cloves and bay leaf in a medium saucepan. Add the 3 cups of water and bring to a boil over high heat. Reduce the heat to low, cover the saucepan and simmer until the beans are tender, about 1 ½ hours. Discard the pancetta, onion, garlic and bay leaf. A Tire d’Aile is a range of delectable, balanced and elegant wines from the Languedoc region’s classic appellations. Respecting both the soil and the vines, healthy grapes are produced with good concentration much to the delight of the birds that live in the plots. The grapes come from three terroirs: 65% from the eastern Corbières (coastal vineyards yield grapes that lend freshness and elegance), 20% from the edge of Fitou (a terroir located further south whose grapes offer lovely aromatic richness) and 15% from the Corbières Boutenac cru which give this wine its depth. The grapes are handpicked and brought to the winery in tubs and immediately transferred to tanks without crushing or pumping. Maceration lasts 15 days. The press wine is added to the free-run wine. 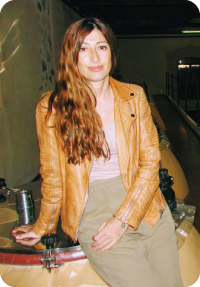 The wine is aged in barrels (40%) and stainless steel tanks (60%). From the south of France, Pistou is similar to pesto sauce. It’s an olive oil based basil sauce and made by hand. 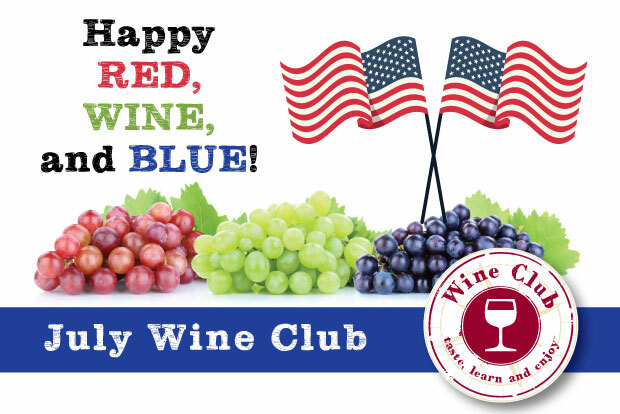 Happy Red, Wine and Blue! • Cover large skillet with olive oil, medium-high heat. Add chicken drums, browning on all sides. Remove chicken and set aside. • Add chorizo and onions to the pan. Cook for 5 minutes. Add the peppers, tomato puree, and paprika. Stir and cook for 4 minutes. • Add the rice and stir well for 3 minutes. Add wine and stir for 3 minutes. • Add the chicken stock and stir into rice until absorbed. • Add frozen peas and parsley and bring back to boil. Arrange chicken drums on bed of rice. • Transfer skillet to the oven and bake for 30 minutes. • Remove from oven and cover lightly with foil. 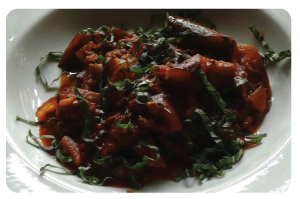 • Garnish the dish with parsley and serve with lemon wedges. Located within the distinguished cultural city of Almagro, between valleys and mountains thick with holm oaks and juniper trees, rosemary and thyme. The mountainous terrain that forms three drainage basins has a peculiar micro-climate, with cool nights providing release from the blistering heat of the day. The Encomienda de Cervera Estate was established in 1758 with a total of 1200 hectares of land, that included vineyards and olive trees. The old vineyards have been renovated and expanded to 50 hectares. The best hills and altitudes have been chosen for each varietal, along with the best soils. From the grapes of their young Tempranillo vineyards, this wine was aged for short time in new French oak.